Now here’s a hot potato! Every estate agent has their own idea of what works best. Here are some tips on what makes an effective for sale board. Colour is extremely important when talking about For Sale boards. Ensure that the colour you choose does not blend into its surroundings. Dark colours, such as Green for example, blends in easily on a green verge, so be careful if your corporate colour is dark. A simple solution would be to add a white border around it in order to create a contrast between your Sale Board and the verge. A common mistake is to add too much detail on the board. An effective board should have details on it that can be read from across the road, and no bigger. In most cases a passing buyer will have to stop in order to take down the details so keep that in mind when choosing your font size - bigger is not necessarily better! Making the font larger than what is necessary will only clutter the board thereby affecting the visual appeal of your brand. There are 3 important elements that should appear on a For Sale Board: 1. Your logo 2. Is the property For Sale? or To Let? and 3. Who to contact. Achieving a balance between visual appeal and function is key to achieving an effective board. 3. Does it have visual appeal? Your Boards are one of your primary tools to achieve brand exposure, so ensure that it has strong visual appeal. It is not just a tool for buyers to identify properties that are For Sale or To Let, but should also appeal to sellers. If your Boards visually stand out from your competition and are beautifully designed, then it will leave a positive impression with sellers which may lead to a Sole Mandate! 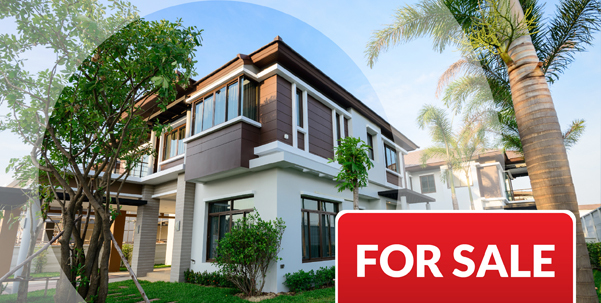 It is important to commission a designer or agency with experience in Real Estate Visual Marketing to design your Boards in order to ensure the most effective results.